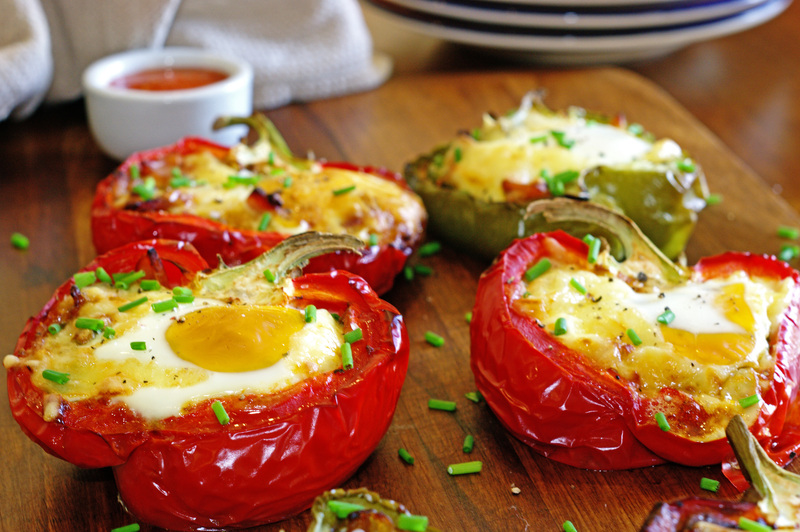 I am a huge fan of baked eggs, they are perfect for a lazy weekend brunch, breakfast or even dinner. They look super impressive and I always think food seems that bit more special if it is served in its own edible bowl. This recipe is delicious! It incorporates the flavours of roasted capsicum with the glorious smoky, sweet flavour of paprika and cumin to create a Moroccan inspired dish. Topped with freshly chopped chives and served with a smoky garlic, chilli sauce – how can you go wrong!? 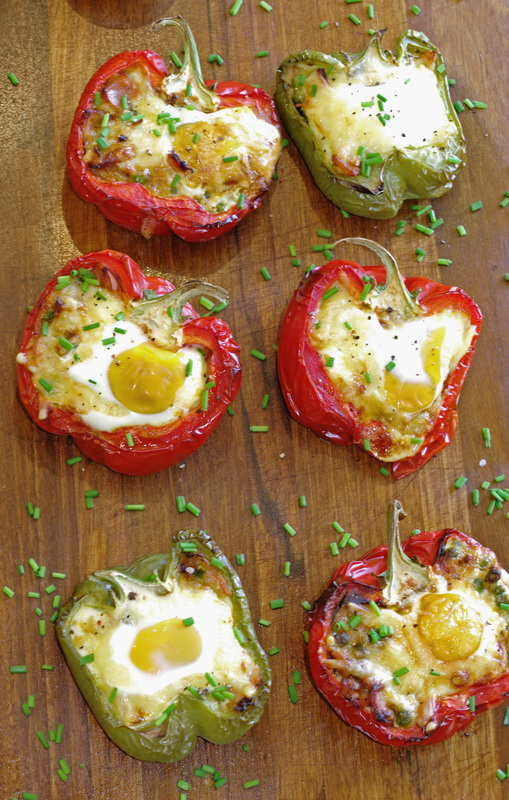 Place the capsicums on the baking tray and cook for 15 minutes or until slightly tender. Meanwhile heat a medium sized pan over a high heat. Add olive oil, onion and garlic, reduce to a medium-high heat and cook until onion becomes translucent and starts it brown. Add the bacon, McCain Baby Peas and spices to the pan. Cook, stirring until the bacon begins to turn golden. 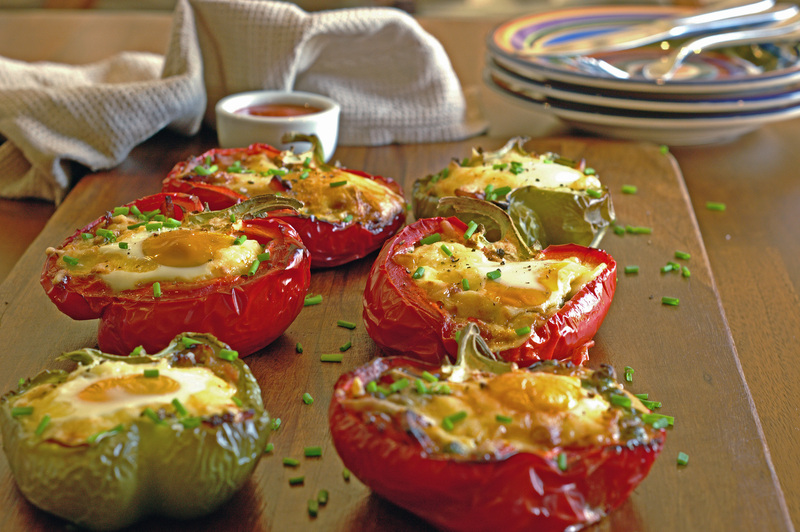 Remove the capsicums from the oven, drain any juices and pat dry using paper towel or a clean tea towel. Fill the capsicums with the pea mixture, dependent on the size of your capsicums it should be about 3-4tbs, and make a well in the centre of each capsicum halve. Crack an egg into the centre of each well, scatter with cheese and bake for 25-35 minutes or until the egg whites are fully cooked. Oh my gosh this looks delicious as well! So many great vegetarian recipes! Awe thank you. Yes I try and mix it up. Something for everyone that way!